Josiah English leads off the Northmont’s 5th place 200 yard medley relay with the backstroke. Joey McKarns swims breaststroke in Northmont’s 9th place medley relay team. 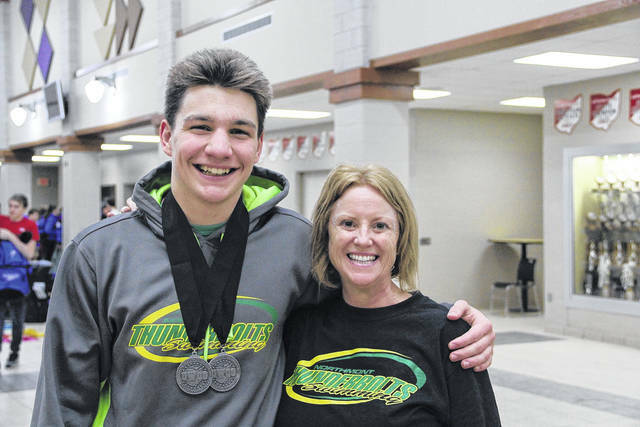 TROTWOOD — Northmont placed eighth in the GWOC National League swim meet, held at Trotwood-Madison High School on Saturday, January 27. Centerville High School won the meet overall, with Beavercreek and Springboro placing second and third, respectively. Northmont’s boys team placed fourth overall in the National League, and were divisional runner up for the GWOC National West Division. Northmont’s boys had top ten finishes in all relays. Josiah English, Justin Parrett, Justin DeLano, and Bobby Gaylor placed fifth in both the 200 yard medley relay and the 200 yard freestyle relay. Both of those relays qualified for the GWOC All-Conference meet. The relay team of Eric Woods, Joey McKarns, Jonah Mergler, and Mitchell Asbury placed ninth in the 200 yard medley relay and seventh in the 400 yard freestyle relay. They qualified for All-Conference in the 400 yard relay. 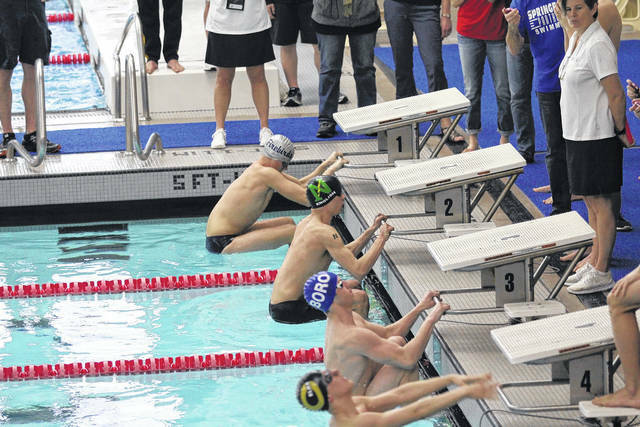 In individual events, Justin Parrett placed fourth in the 200 yard freestyle and fifth in the 100 yard breast stroke. Justin DeLano placed second in both the 100 yard butterfly and the 100 yard backstroke. Jonah Mergler finished tenth in the 100 yard butterfly, and Eric Woods finished tenth in the 100 yard backstroke. Fynn Roberts placed ninth in the 100 yard breast stroke for Northmont’s girls. All these swimmers qualified for the GWOC All-Conference meet. 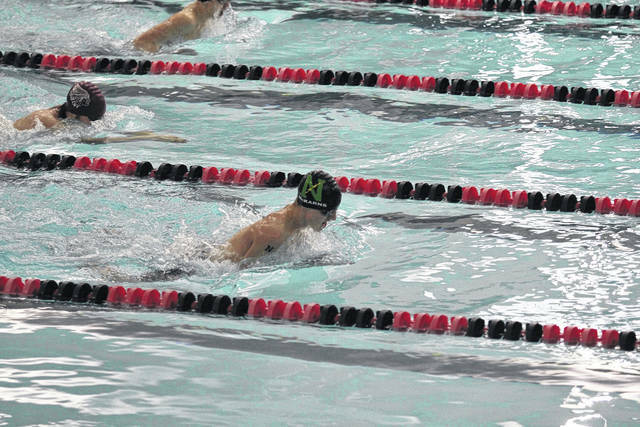 Several Northmont swimmers also qualified for GWOC All-Conference, despite not finishing in the top ten in their races. These are Liv Jones, Isabel Stoffel, Phoebe Caraway, Abby Gutierrez, Josiah English, Bobby Gaylor, Mitch Asbury, and Joey McKarns. The All-Conference meet will be held at Trotwood-Madison High School on Thursday, February 1.